A single stroke of the inner tube starts the syphon action without disturbing the sediment. (If there is no sediment present then the sediment trap at the base can be removed so that the maximum volume of liquid can be transfered).Precision designed for smooth, leak-free operation.Simple to sanitize, dead easy to use.Removable tip prevents siphoning of sediment. 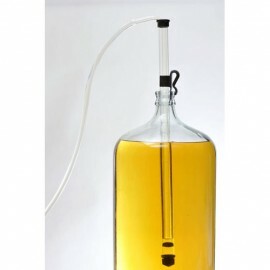 1/2" Large for 5 gallon buckets and carboys for twice the speed.